For years, I have wanted to submit my writing to a literary publication or a contest. But I kept writing. And as the years have passed, my writing has improved bit by bit. I thought that eventually, there would become a day that I would feel, “Yes, I am ready to submit to a lit mag!” That I would get a piece to such near-perfection that I would feel completely confident submitting for publication. But that moment has never come and frankly, I doubt that it ever will. I will always have doubts. I will always wonder is a piece is completely finished, truly “ready.” But I could spend years, a lifetime even, telling myself that my piece isn’t ready yet, finding (or creating) flaws, discovering passages to rework or remove. There will always something that we could change about a story or improve upon. I do finally have a story that is more polished, more ready than any other story I’ve written before. And so, my trusted writer friend and I have decided that for both of us, it is time to push the baby bird out of the nest. We have read each other’s work, made corrections and suggestions, seen our stories through revisions. It’s time. I’ve been doing my research, and putting together an excel spreadsheet (yes) of publications to potentially submit to either for this story or down the road. Poets and Writers – This is an invaluable resource for writers. Visit the Tools for Writers section of their website for a searchable database of literary magazines and their editorial policies, submission guidelines and contact information. If you subscribe to the magazine, they publish details about creative writing contests—including poetry contests, short story competitions, essay contests, awards for novels, and more which they make available on their website as well. Your local library or bookstore – Libraries and bookstores may have literary journals you can browse through. Check used bookstores for past issues! Journal of the Month – I blogged about this topic recently and highly recommend Journal of the Month for any writer who is looking to publish their work. This is a great and inexpensive way to get exposed to different literary journals and get an idea of what kind of work they publish and what they are looking for. 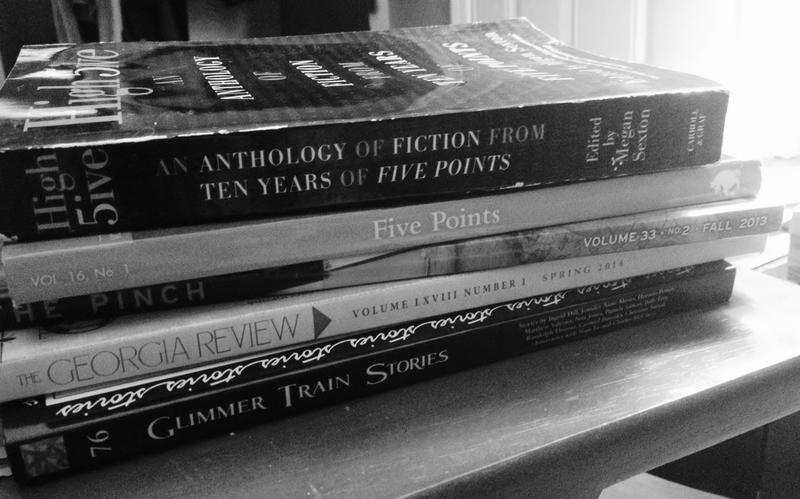 What Editors Want – This article written by The Review Review is a must read for writers submitting their work to literary magazines. I found a lot of helpful hints. Writers – please help me add to this list! What resources have you found helpful in preparing to submit your work? I’d love to hear your recommendations! This entry was tagged Resources for Writers, Submission, The Writing Process, Writing. Bookmark the permalink. The back of The Writer often spotlights various lit mags. I too contemplate submitting to these. It’s rather an intimidating step forward. That looks like an excellent resource, thanks for sharing! Thanks for sharing your submission resources. So here’s one back to you! The Prairie Schooner blog is looking for contributors. Have something to say or a subject you enjoy writing about? Drop a line to pswebed@unl.edu to get the ball rolling on potentially becoming a Prairie Schooner blogger. Sounds pretty fantastic as a way to get your work out there. I’m heading over there myself very soon.